Sales of the Samsung Galaxy S4 have broken records for the South Korean manufacturer as expected. Although it was recently reported that demand for the phone may be slowing down, it was recently revealed that sales of the phone topped 20 million sales after just two months on the market, the same figure that its Galaxy S3 predecessor took one hundred days to achieve. The Samsung Galaxy S4 is of course the most advanced model to date from the manufacturer. Key features include a 5 inch 1080p display, 13 megapixel camera, 1.9 GHz quad-core processor, Android 4.2.2 Jellybean operating system with Samsung’s TouchWiz Nature UX interface and an innovative package of Samsung applications. 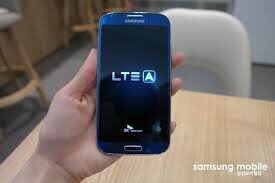 Samsung recently launched a new variant of the Galaxy S4, but with LTE-Advanced connectivity. This is the fastest means of downloading data on a mobile device, offering even faster speeds than 4G. It was recently reported by SamMobile that Samsung has sold 150,000 units of this version of the device after just two weeks on the market. Of course, the ongoing strong sales the Galaxy S4 mean that this may not seem like the most newsworthy figure. However, these sales refer to a single market, South Korea which is the only country where this version of the device is currently available. Visit our website for the latest Samsung Galaxy S4 news, and compare Samsung Galaxy S4 contract offers. This version of the Samsung Galaxy S4 has largely the same spec list as the standard version. The main changes made to the phone’s hardware include an upgraded processor, which is a quad-core Snapdragon 800 processor, clocked at 2.3 GHz, and of course the addition of LTE-Advanced connectivity. South Korea is currently the only country where this version of phone is available, and it seems that Samsung currently has no plans to release it in the UK. However, this is of course subject to change in the future, as 4G infrastructure becomes more widely available. Would you buy this version of the phone if it was made available in the UK, or do you think the standard Samsung Galaxy S4 will be the better choice? Leave a comment to let us know what you think.